It's that time of week again where I look at all my projects and realize how many I've started and how few I've actually finished. This week? NEW PICTURES. Oh yes, no recycling in this post! 1. Rail Fence - Finished it up yesterday, you can read about it there. 3. 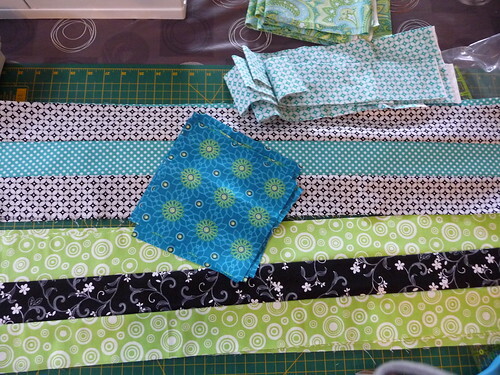 Daisy Doodles - Strips sewn together for 9 patch and rail fence blocks. 5. Spring flowers - No progress. 6. Stash busting triangles - Fighting with aligning triangles properly. Who knew it would be so difficult??? 7. Stash Busting wedges - No progress. I have an entire long weekend to myself coming up so I suspect the list of finished quilt tops will increase dramatically. How's your week coming along? Also? I like my new format for this. I no longer have a dozen WIPS. I have 4 finished quilt tops and fewer than 10 WIPs... It just sounds better! 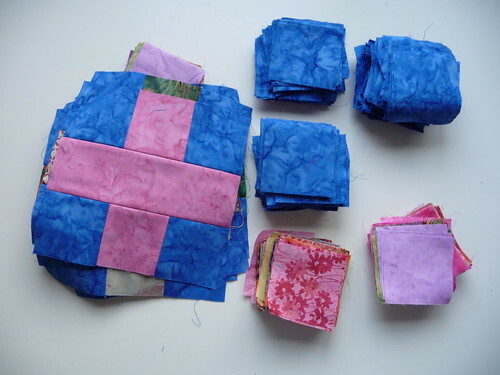 I love long weekends when I know I'll have lots of time to quilt! Good luck on getting some of your WIP's finished. I know the feeling of that long list! Oh, a long weekend to sew sounds nice! 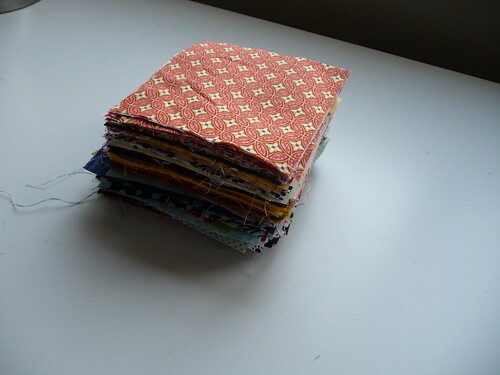 The fabrics for your hourglass quilt are very pretty! I'd love to see the top when you are done.